A four-storey conservation shophouse near Farrer Park has been put on the market for $6.8 million (about $1,700 psf). “Approval was given for a hostel to operate within the shophouse,” says marketing agent Van, associate division director at ERA Realty. The property is currently leased to a hostel operator at a monthly rental rate of $12,000 for a five-year period. As two years have gone by, the lease will expire in three years. The property sits on a freehold land area of about 1,800 to 1,900 sq ft with an estimated built-up area of about 4,000 sq ft. It comes with parking space for one vehicle. 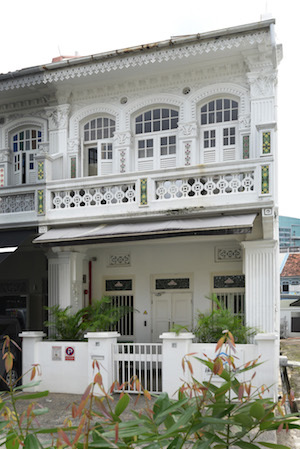 As the shophouse is zoned “residential with commercial at first storey” under the 2014 Master Plan, the buyer will be subject to the additional buyer’s stamp duty (ABSD). The interiors of the property have been refurbished, and it also sports a roof terrace. The latest rental transactions of comparable shophouses in the same location were done in February and July last year, according to URA Realis data downloaded on Jan 16. The monthly rental rate in the February transaction was $5,632 ($4.80 psf) while the one in July was $14,000 ($4.53 psf). The last transaction in the vicinity was in July 2014, when two freehold shophouses zoned “residential with commercial at first storey” under the 2014 Master Plan were sold for $6.16 million ($2,079 psf), according to caveats lodged with URA Realis as at Jan 16. The shophouses had a combined land area of 2,960 sq ft. Located near the Farrer Park MRT station, the shophouse that is currently on the market is also within walking distance of City Square Mall, which has tenants such as Decathlon, NTUC Fairprice and Golden Village. Nearby is Connexion, an integrated healthcare and hospitality complex with medical, specialist and preventive medicine centres as well as the 250-room One Farrer Hotel & Spa.